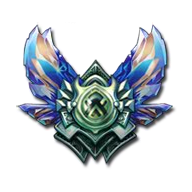 Been playing since season 3 and i was gold since, but when i came back this season 8 i climbed my elo to diamond solo queue and flex (diamond 3 was my highest in ranked flex). I am self teaching until now for my self improvement in the game because i really want to step up my game and be part of some teams out there. Willing to improve at all cost.